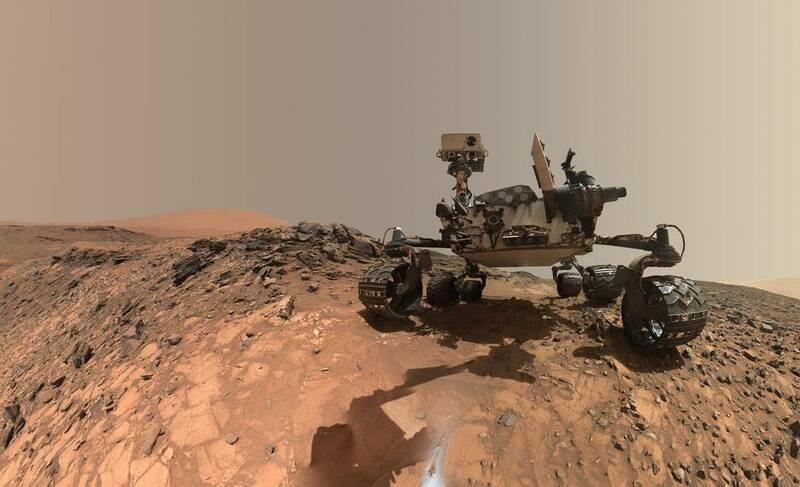 NASA's Curiosity Rover has detected new evidence of ancient organic matter preserved in rocks on Mars. Further evidence of methane in the atmosphere supports the theory of the existence of ancient life on the Red Planet. 'Tough' organic molecules were discovered in three-billion-year-old sedimentary rocks near the surface. Although commonly associated with life, these organic molecules can be created through non-biological processes and are not a certain indicator of life. In a second paper, scientists detailed the findings of Curiosity's Sample Analysis at Mars (SAM) instrument suite. It was found that there was seasonal variations in methane levels in the Martian atmosphere over the course of almost three Martian years, which equates to close to six Earth years. Similarly to the organic molecules, these variations could have been generated by abiotic processes such as water-rock chemistry, but scientists cannot also rule out the possibility of biological origins. These findings demonstrate that low levels of methane peak during warm, summer months and drop off during winter each year.